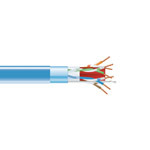 Perfect for general indoor usage, this CAT6 (CMR) bulk wire comes in a 1000 ft spool with different colors to choose from. 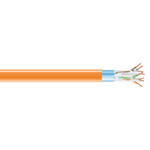 Built for faster Ethernet speeds, these CAT6 bulk wire spools have been tested up to 550 MHz. 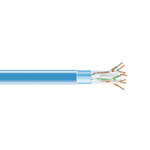 CAT6 cable is the standard source for fast gigabit ethernet, and this particular CAT6 (Plenum) bulk wire comes ready to terminate 8P,8C connectors. 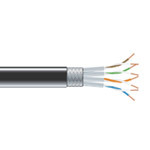 A high-performance data cable designed for quicker data transfer speeds, our CAT6 (CMX) bulk wire get up to 155mbps. 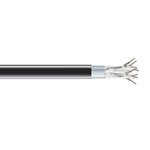 Shielded with both aluminum foil and waterproof tape, this CAT6 bulk wire is great for outdoor use or direct burial.